1. Manual Journal Entries: The basic journal entry type is used for most accounting transactions. Examples include adjustments and reclassifications. 2. Reversing Journal Entries: Reversing journal entries are created by reversing an existing journal entry. 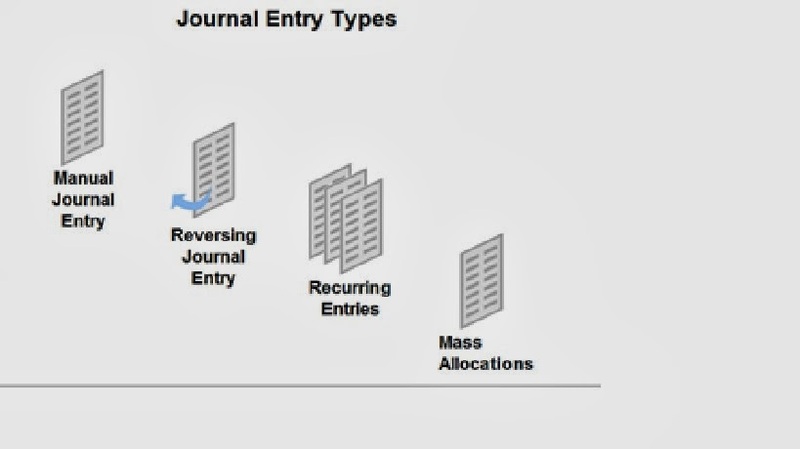 You can reverse any journal entry and post it to the current or any future open accounting period. 3. Recurring Journal Entries: Recurring journal entries are defined once, then are repeated for each subsequent accounting period you generate. You can use recurring journal entries to define automatic consolidating and eliminating entries. Examples include intercompany debt, bad debt expense, and periodic accruals. 4. 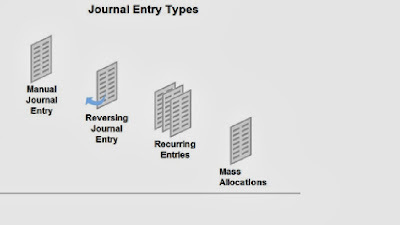 MassAllocations: MassAllocations are journal entries that utilize a single journal entry formula to allocate balances across a group of cost centers, departments, divisions or other segments. Examples include rent expense allocated by headcount or administrative costs allocated by machine labor hours.